The highlight of any visit to Tangalooma is the opportunity to hand feed one of the wild bottlenose dolphins that visit the shores each evening at sunset. 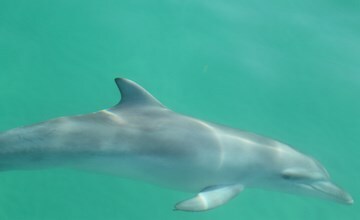 There is a large family of these playful dolphins that visit regularly, each with their own distinctive and unique personalities. 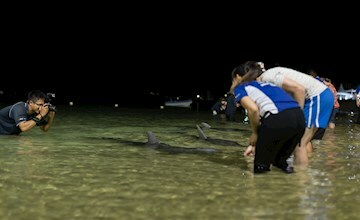 Tangalooma Wild Dolphin Feeding Experience is included in selected accommodation and day cruise packages from Brisbane. 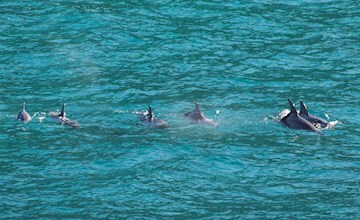 Unknown to many, the dolphins that visit our shores are actually part of two tight-knit family groups. Come meet all the dolphins here. The Dolphin Care Team, consisting of Eco Rangers and dedicated staff, run the program which operates to strict guidelines to ensure the protection of the dolphins. Make sure you are prepared to get wet! 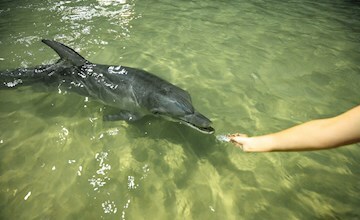 Find out more on exactly how you will feed the dolphins at Tangalooma Island Resort. 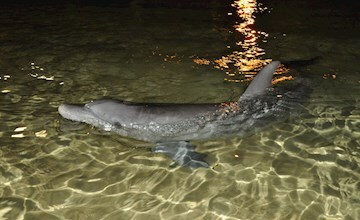 Find out how dolphin feeding began in a personal account by Brian Osborne, owner and director of Tangalooma Island Resort. 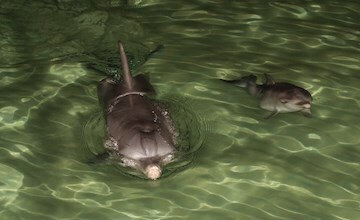 The Dolphin Care Program operates to strict guidelines, therefore restrictions on feeding apply. 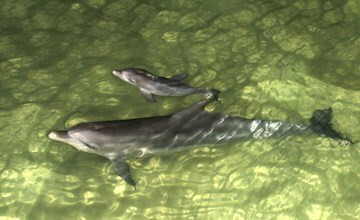 The number of guests able to feed the dolphins will depend on weather, tidal conditions and dolphin attendance. 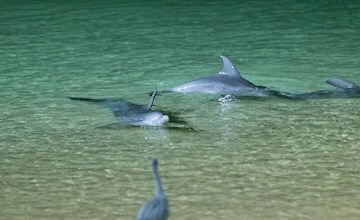 Find out which dolphins turned up to the feed on certain nights. A great way to keep in touch with your favourite flippered friends! The Tangalooma Island Resort Wild Dolphin Feeding Program is run to strict guidelines to ensure the safety of all guests and dolphins involved. This guide explains just a few of the dolphins’ natural behaviours that you may seem them doing in the wild.